An email sent to all AusAID and DFAT staff today from Peter Varghese, Secretary of DFAT, has revealed the principles for the integration of the AusAID into DFAT. The message provides some of the first detail on what the future of AusAID and Australian aid might hold since PM Tony Abbott’s aid reorganisation announcement last month. The principles include a new objective for the aid program, stating that: “Australia’s aid program will promote Australia’s national interests through contributing to international economic growth and poverty reduction. It will be designed and implemented to support Australian foreign and trade policy. Its geographic priority will be the Indo-Pacific region, especially the South Pacific and South East Asia”. Whether or not the first sentence of this is intended to be the official objective of the aid program is unclear, but its wording is very similar to the way that Foreign Minister Downer articulated the objective of Australian aid: “Advancing Australia’s national interest by assisting developing countries to reduce poverty and achieve sustainable development.” However, Downer delinked Australian aid from the pursuit of commercial objectives. The new wording about aid supporting not only our foreign but our trade policy may re-open the door for the pursuit of commercial objectives through the aid program. The reference to the Indo-Pacific suggests an ongoing aid program for East Africa. The principles also give priority to working with NGOs to deliver aid, something which didn’t appear in the Coalition election platform, but which Joe Hockey announced at the press conference when the $4.5 billion cuts to aid forward estimates were revealed. AusAID’s future remains uncertain, but the principles suggest that AusAID’s continuation as a separate agency within DFAT is clearly in doubt. On the one hand, the principles stress the importance of having the capabilities, staff and system to deliver a complex aid program effectively, and says that there will be a “development career stream/structure” within DFAT. On the other, it says that there will be unified people management and back-office operations which would indicate that the reintegration implied is much deeper than a simple return to arrangements pre-2010, which is when AusAID separated from DFAT. None of the nine principles suggests how aid effectiveness might be improved, though the long-held Coalition point that the results of the aid program should be “measured against clear benchmarks” is reiterated. The first steps are being taken to integrate DFAT and AusAID and to better align Australia’s foreign, development and trade objectives. The Task Force has been established and Working Groups are starting to consider the range of corporate/staffing, operational, policy and program issues that need to be addressed. The Task Force will report to a Steering Committee chaired by me, with Ewen McDonald, Chris Moraitis, Gary Dunn and Paul Grigson as members. The Terms of Reference for the Task Force and details of the Working Groups are now available on the Task Force’s intranet site. As foreshadowed in my message of 18 September, the integration process and work of the Task Force will be guided by a set of principles. These principles have now been agreed by Steering Committee members and are set out below. These principles will guide the integration process with the objective of achieving a transformed Department that aligns and implements foreign, development, and trade policies and programs in a coherent, efficient and effective manner, in pursuit of Australia’s national interests. The principles emphasise the need for the transformed Department to have the capabilities—particularly our staff—and systems to deliver effectively a large, complex and high quality aid program. The principles are necessarily broad guidance. They do not provide details of how we will operate as a unified Department and what integration means in practice for all of us. Those details will be worked through in the coming months, in accordance with the principles. On current planning, the necessary steps to abolish AusAID as an Executive Agency under the Public Service Act and to remove it as a prescribed agency from the Financial Management Act Regulations will have been taken, for the abolition to take effect on 31 October 2013. The business of delivering the aid program will continue from 1 November, as part of the Department of Foreign Affairs and Trade. We will be working towards a new structure for the Department by 1 July 2014, with transitional arrangements applying from 1 November. As we move towards 1 November, further information will be provided of initial changes required by the Machinery of Government framework and other steps to be taken at that time, as decided by the Steering Committee. We are at the beginning of a major and complex change process, involving all AusAID and DFAT staff. I am confident of your cooperation and constructive participation in the process as we move ahead. I look forward to an opportunity to meet with all staff in October, as soon as my travel commitments allow. These principles will guide the integration process, working towards a new structure for the Department by 1 July 2014. Until then, transition arrangements will apply from 1 November 2013. Australia’s aid program will promote Australia’s national interests through contributing to international economic growth and poverty reduction. It will be designed and implemented to support Australian foreign and trade policy. Its geographic priority will be the Indo-Pacific region, especially the South Pacific and South East Asia. The outcome of integration will be a transformed Department that aligns and implements foreign, development, and trade policies and programs in a coherent, efficient and effective manner, in pursuit of Australia’s national interests. The Department will work closely with NGOs with a strong track record for effective aid delivery. Effective and high quality aid is fundamental to advancing Australia’s national interests and must be supported by a Department with the capabilities and systems to deliver a large and complex aid program and to be measured against clear benchmarks. Recognising its implications for all staff, the integration will be undertaken with open and constructive communication with staff, with transparency and accountability, as well as in accordance with the legal and regulatory requirements for machinery of government changes. The transformed Department (after transitional arrangements expire) will have unified people management, applying to all APS employees and to locally-engaged (overseas-based) staff. In order to maintain aid policy and program management expertise, the department will have a development career stream/structure, with some positions in Canberra and overseas designated as requiring international development assistance skills. The Department will have unified corporate, ICT, property and other enabling services, in Australia and overseas. The balance of the Department’s operations in Australia and overseas will be determined by how to pursue most effectively and efficiently Australia’s foreign policy, economic/trade, and development interests and the resources available to do so. The Department will have a strong unified culture focused on advancing Australia’s foreign policy, economic/trade, and development interests with a high degree of professionalism, integrity and innovation, while maintaining accountability and risk management capability. Who’d want to be a public servant! Mumbo jumbo masquerading as public policy. Jiesheng, IDA eligibility is based on income per capita and may also include a few other considerations around creditworthiness of a country – it has no linear relationship to the number of those living on under $2 per day in a country. That is how middle income countries can still have vast quantities of people living in poverty, numerically far in excess of smaller yet poorer countries. You may need to look more closely at the statistics and the definitions to understand this – I’d start with the World Bank’s Povcal database. There are also numerous reports based on this information that will explain this data to you. Which data Stephanie? This CGD report say’s the bulk of LDC’s will be client states. There’s also not just a European effort in Africa. An Interesting principle in its wording: “The Department will work closely with NGOs with a strong track record for effective aid delivery”. Does it (the use of the term ‘strong track record’) reflect the former Minister Downer’s view that there were too many NGOs in the aid program, and set about reducing the acrredited ones by about half. Then the Labor government had an aim to redress that balance and increase the numbr of accredited NGO from aorund 40 up to 50. So the question is will this mean the carve up of the NGO/ANCP pie be skewed to to the larger NGOs at expense of the smaller ones. Interesting times ahead!!! Actually, the data shows the majority of the very poor continue to live in Asia, and increasingly in Asia’s middle-income countries – Asia Pacific is home to 1.7 billion people, or around 70% of those living under $2 per day, and receives a lower share of aid per poor person than Africa – particularly South Asia, which is incredibly underfunded with respect to actual poverty incidence. A focus on Asia is sensible, not least because Australia has strong capacity there and good links with governments. Australia is a minnow in Africa, and has little to productively contribute to the European efforts there. RE: being an ODA ‘minnow’ in Africa, Australia can still contribute through targeted programmes in Sub-Saharan Africa (47 countries), which is the poorest region in the world (not withstanding successive so-called ‘development decades’) and is ‘off-track’ to meet MDG goals for eradicating hunger (MDG1), child mortality (MDG 4) and maternal health (MDG 5)…and others. One of the key strategies for development is building capacity from within. AusAID had been running programmes geared towards capacity building through providing scholarships for African students–who then return to their country of origin to put their credentials/skills gained in Australia to work in their home country. 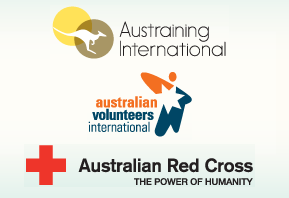 These programmes are now at risk, which would be a shameful outcome of AusAID ‘restructuring’. Why must the focus just be on the Asia Pacific region, even as much as it is geographically near to Australia? Data shows that LDCs and poor people will be concentrated in Africa–the World Bank’s IDA will be providing to mainly African clients in the future. The term Indo-Pacific leaves Africa (and South Asia) still in the mix much the way they are now; but not sure about the Middle East.